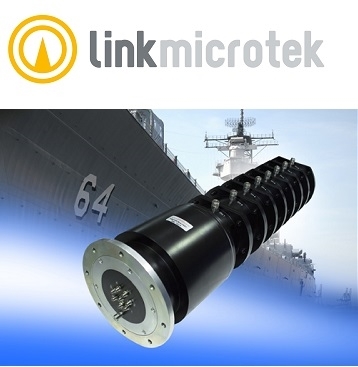 Microwave and RF subsystems developer, Link Microtek, has released a complex 700mm-long 8-channel coaxial rotating joint for use in an L-band ship borne long-range radar systems. 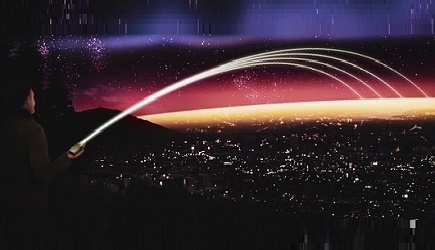 Enabling microwave signals to be fed to and from the radar antenna, the rotating joint features six PSR (primary surveillance radar) channels, each with a frequency range around 1400 MHz, and two SSR (secondary surveillance radar) channels covering frequencies between 1000 and 1100 MHz. The Link Microtek design team faced a number of challenges in meeting the required specifications, not least in keeping the rotating joint to an overall length of just over 700mm. It may seem like a large assembly but in fact 700 mm was quite a tight constraint, according to the company. Each of the channels had to be able to handle microwave pulses with a maximum peak power of 5 kW, and, crucially, the channels had to be phase matched, which meant incorporating various lengths of fairly substantial cable within the body of the rotating joint. The design also had to achieve key performance specifications such as a VSWR of less than 1.3:1, maximum insertion loss of 1dB, maximum insertion loss of WOW 0.1dB and phase variation of WOW +/-2 degrees. WOW figures are absolutely critical on a radar system. They show how the performance varies as the device rotates, and one simply can’t have the specifications leaping all over the place. In addition, there were the stringent environmental considerations that are typical for ship borne applications, including the ability to withstand salt spray, vibration and temperatures ranging from -25 to 70 degC. Drawing on decades of experience in this specialist area, the company’s engineering team used CST electromagnetic simulation software to verify the performance of the design and SolidWorks CAD software to develop a complete 3D model so that the many individual piece parts could be fabricated. Once fully assembled, the rotating joint was comprehensively tested on a custom-built test rig at Link Microtek’s Basingstoke facility and then given an extended run-in programme to prepare it for its long life of continuous rotation at up to 20 rpm.